Tolerance is an application that brings Hole Basis Tolerance charts to your iPhone. Based on 286,the application allows users to enter a nominal diameter for hole or shaft, select the tolerance grade using a simple selector, and reveal the upper and lower tolerances based on the selected grade. The application calculates tolerances for nominal diameters between 0 and 500 mm in metric mode. The application calculates tolerances for nominal diameters between 0 and 19.685 inches in imperial mode. Tolerance grades range from to for holes, and "a" to "zc" for shafts. Additional functionality of 2768 tolerances. Users can now find tolerances for Linear dimensions, Chamfers and Radii, Angles, Straightness, Flatness, Perpendicularity, Symmetry, and run out as defined in 2768 table 1 and table 2. Ideal for Machinists, Manual Machinists, Inspectors, Designers, Draughtsmen and Students wishing to dispense with tolerance charts and books, bringing the convenience of all the information direct to the iPhone. Check these links to find your download for ISO Tolerance for & iOS or for your device iPod TouchiPadiPhone. 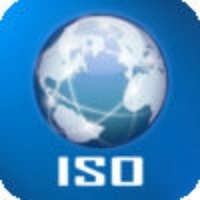 The app ISO Tolerance is compatible with te following devices.